I love creating games, apps, and other entertainment – particularly for kids and families. Imagine then how lucky I feel that I get to do this for a living, helping brands like FOX Entertainment, McDonald's, Capri Sun, Moshi Monsters, and Microsoft. I've gotten a unique perspective; through the advertising agency lens as Creative Director and Senior Art Director at Fuel Youth, through the mobile games lens as Senior UI Designer at Funzio, Inc. (bought by GREE International), and as Art Director and Lead of UI/UX at kids' entertainment company Mind Candy. My work has appeared in top-grossing mobile and console games, websites with over 90 million registered users, billboards in Times Square, magazine covers, and cereal boxes. The common thread is the expectation of high fidelity, award-winning designs that are fun, engaging, on brand, and bring folks back for more. I hope that the attention, care, and passion I feel comes through in my work. I enjoyed playing a small part in the development of Mind Candy's World of Warriors by working on the freemium game's store UX, UI, and creating all the purchasable item icons. The challenge was to stick to the low-poly style from the rest of the game, but still making the items look covetable. 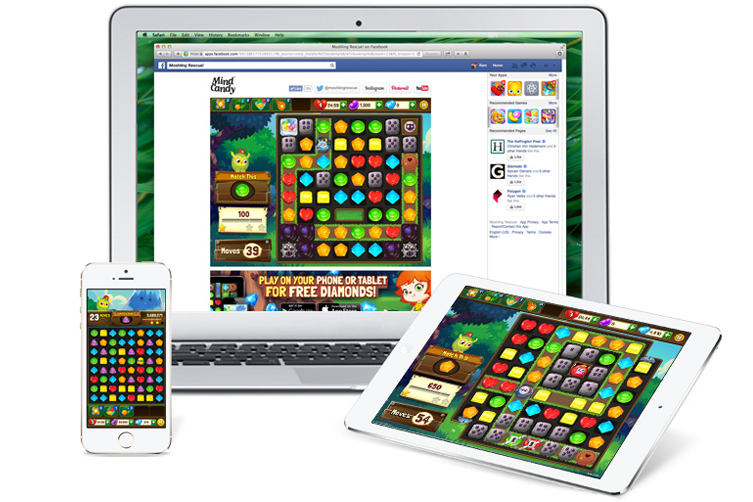 Moshling Rescue – Mind Candy's take on a match 3 mechanic, received front page global features on both Apple and Google's mobile app stores. The challenge was to use existing characters intended for 5 year olds in a game meant for much older freemium audience. This was achieved through challenging game modes, detailed rendering, and an aspirational (but relatable) hero character, Ellie. 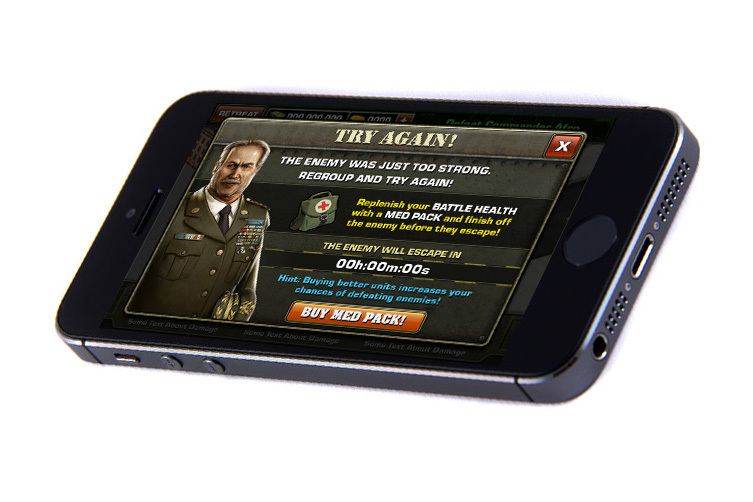 The game has gone on to receive thousands of 5-star reviews from satisfied players. PopJam is a very big and ambitious idea. It's a social network where kids can express their creativity through drawing, stickers, GIFs, and videos. Where they can achieve celebrity with thousands of followers, play games and quizzes, take polls, and connect with their favourite brands in a way that is safe and authentic. We've just begun, but the app is already seeing average engagement times higher than Instagram, creations posted every second, more monthly users than a number 1 kids magazine, and 250k comments posted per day. Moshi Monsters put Mind Candy on the map. In the UK, Moshi Monsters quickly overtook Club Penguin as the top virtual world for kids and had over 90 million registered users worldwide. While the brand lead to a number 1 kids magazine in the UK, a platinum album, top selling Nintendo DS titles, a movie, multiple mobile apps and games, live events, and sold millions of toys, it retained a digital heart. I was the Principal Interface Designer on Moshi Monsters and ultimately went on to become Art Director at Mind Candy. Modern War became a number 1 top grossing iPhone game and remains in the top 100 five years later. I was Senior UI Designer on both this game and Crime City before it (also top grossing) leading up to Funzio's $210 million acquisition by GREE International. I worked hard to give Modern War an own able style appropriate for a male 18-25 audience while maintaining conventions expected of a freemium social game. I created all the icons, HUD elements, and worked on modals and popups. McDonald's had a challenge: Digital waste. With each successive HappyMeal, we were creating micro sites. 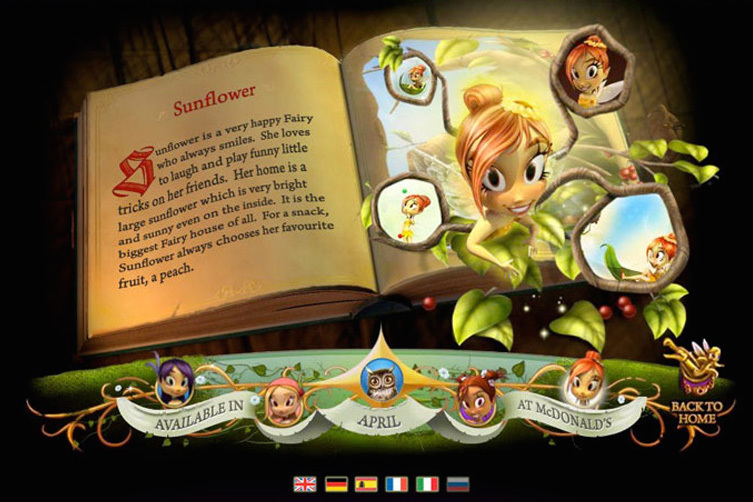 Each month, two new licenses would arrive, online websites and games were made to support the HappyMeal releases, and then discarded the next month to make way for the new. As the Senior Art Director at Fuel Youth, I helped conceive and pitch Happy Studio – a theme park home to McDonalds' character, Happy to live in perpetuity with agreeable licensors with their current and past content. 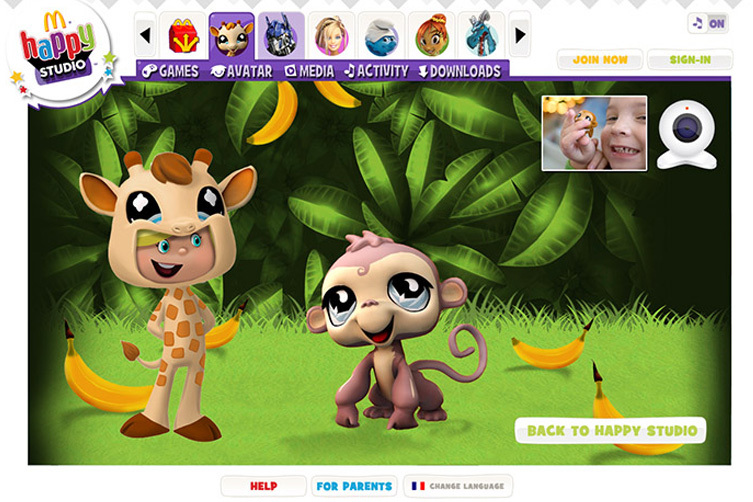 Kids can make their own avatars that play new free games and take part in activities each month. Icon-based chat allows kids' avatars to safely chat across Europe's 41 markets and 37 languages. Healthy and environmental messages, along with a parents dashboard for keeping tabs help everyone rest easy. 5 years later, Happy Studio is still messaged on every HappyMeal box in Europe and is still going strong. My long relationship with McDonald's has been one of the highlights of my career and it all started with Fairies & Dragons. The pitch involved the creation of McDonald's first digital HappyMeal. For a fraction of the cost of producing a HappyMeal toy, McDonald's could produce a comprehensive digital counterpart. A second gift. McDonald's was intrigued. Branded HappyMeals cost a fortune and disappear after a month. 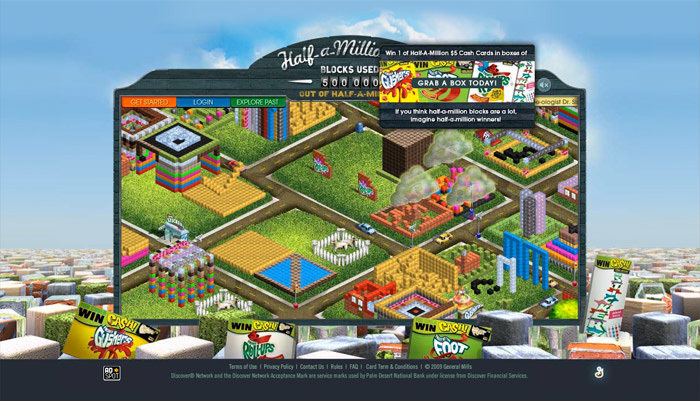 At Fuel, we created the new IP, produced a website with games, supplemental games that came on CD with HappyMeals and toys. Ultimately the project earned the the trust of McDonald's 41 European markets. Since then, Fuel has played the part of McDonald's digital AOR and produced every HappyMeal website (including those for Tin Tin, Shrek 4, My Little Pony, Megamind, and Transformers). I did the design and pixel art illustrations for Server Quest – Microsoft's love-letter to adventure games of the late 80s and early 90s. To add authenticity, I used a limited 8-bit colour palette, used sound effects from computer's reading floppy discs, and had our IT Manager help with the cheese-ball geeky script. The budget was increased mid-project due to Microsoft's intense interest and voice actors were hired to add drama to an already great dialogue. 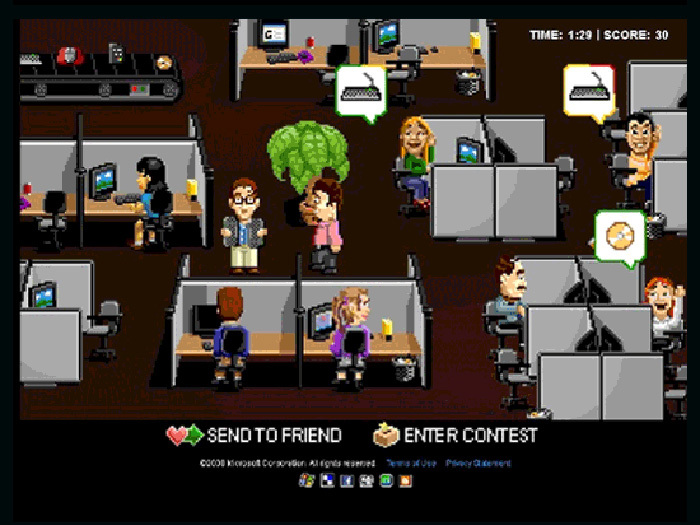 The game went out to millions of TechNet subscribers around the world and we know we were a real hit when we found out lines from the game were being used in Microsoft's Redmond headquarters. I co-art directed and helped design the Disrespectoids website and games as part of CapriSun's "Respect The Pouch" campaign. Agency Razorfish Chicago lead kids to the site with TV ads showing a host of mischievous characters stomping, throwing, and otherwise showing irreverence to the iconic pouch drink. Magically the characters transformed into embodiments of their disrespect. After inflating and popping a CapriSun pouch, Luna became Balloona Luna, floating helplessly into the sky. This winner of Billboard's MMX Award allowed us to pit FOX Entertainment's families up against each other, and then – with Capcom's blessing – we set them against Street Fighter's Ryu! I designed the UI and built the Flash animations. Teletoon is Canada's all cartoon channel, closely mirroring American counterparts Nickelodeon and Cartoon Network. This means that the age ranges are actually quite varied, from the toddler programming in the morning to more adult cartoons in the late evening. Teletoon wanted a game to appeal to both ends of the spectrum. We decided to use their (then) mascot "B", a clumsy robotic dog racing his scooter through customisable stunt tracks. I designed, co-illustrated, and Flash animated the track pieces and characters. For ScreenLife's Facebook version of their popular SceneIt? board game, players customised avatars and answered trivia questions along different tracks – acting, directing, or writing – to reach the top in Hollywood. 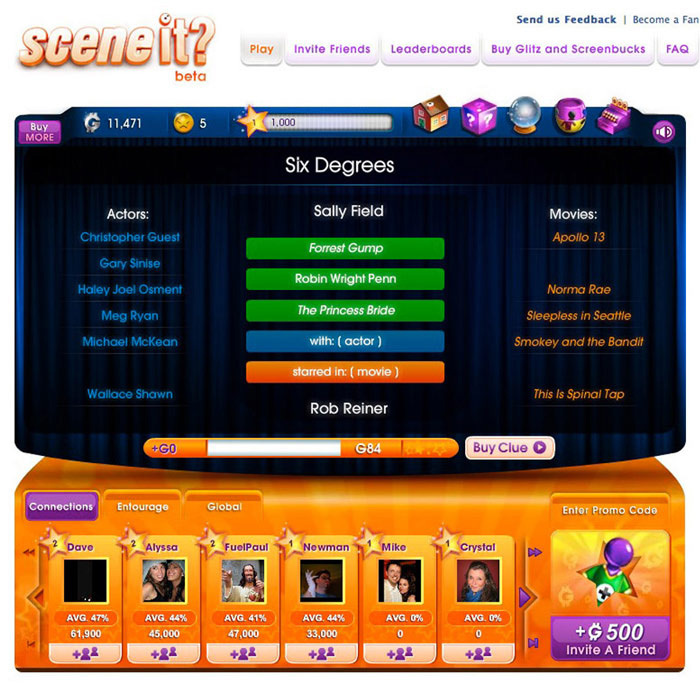 The game featured a (then) new social widget for them to compete with friends, videos, stills, and dialog recordings from popular movies. The UI had to be styled to house both photography and illustrations. General Mills was giving away half-a-million $5 gift cards in packs of their Fruit Roll-Up fruit snacks. 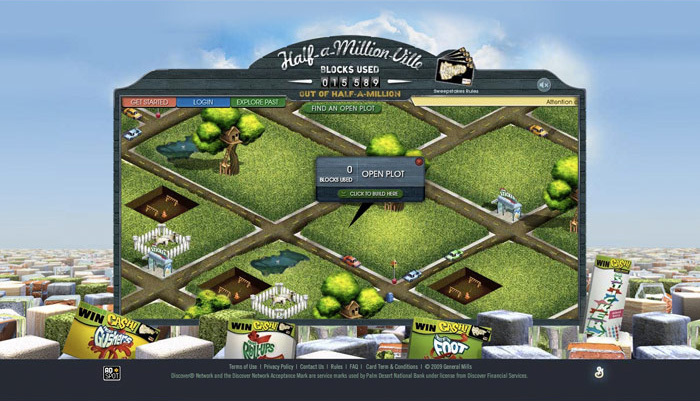 To promote this and give a sense of the massive prize giveaway, I created Half-A-Million-Ville. 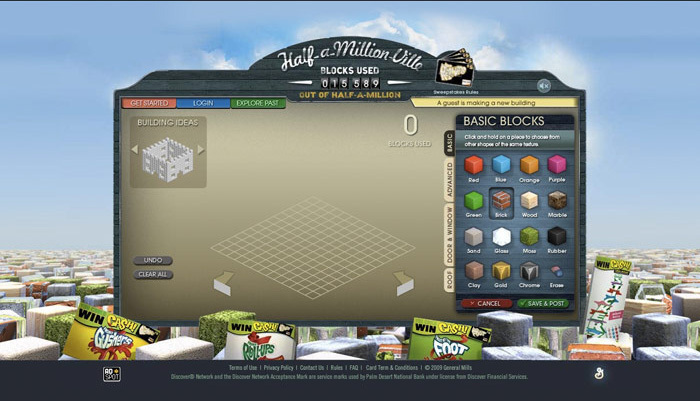 Half a million players could use blocks on digital land plots and their amalgamated creativity would create a city to be explored by others. The campaign was so successful that several instances of the city had to be created. Some kids spelled their names, others drew pictures (with moderation, of course). I absolutely love creating logos. I get equal enjoyment from obeying accepted best practices for timeless marks to really letting loose and having fully illustrative ones. I've been lucky to have some high visibility from the Happy Studio logo appearing on every HappyMeal box in Europe for the past seven years, to helping my agency, Fuel Industries rebrand, to creating logos for some hit mobile games. An icon should be appropriate for a brand, it should be refined, and what it's depicting should be clear. Here we have some of my icons for Microsoft Toolbox, McDonald's Fairies & Dragons, Mind Candy's Moshi Monsters, Screenlife's SceneIt?, and many more.